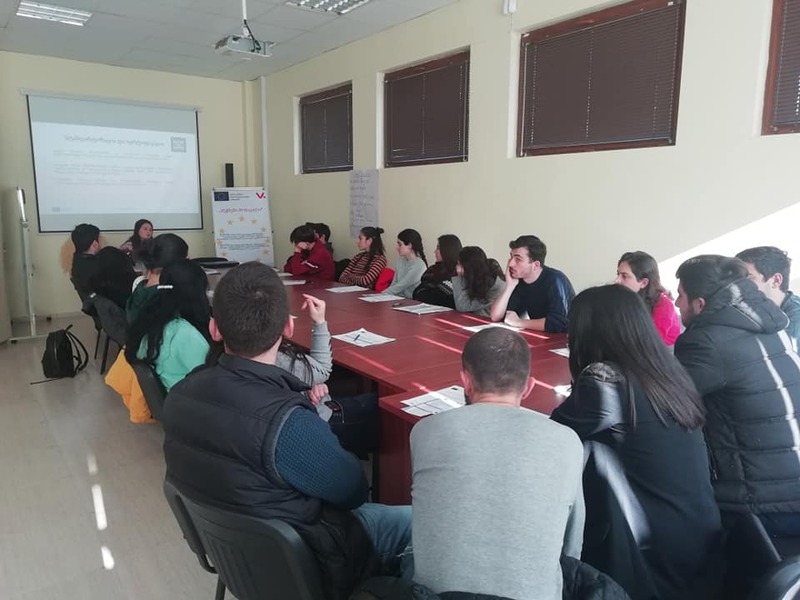 On November 26, NGO ''Step to Future'' conducted an info-training about DCFTA in Gori, which was organized under the framework of the EU funded project ''Georgia on European Way: Creation of Effective Model for DCFTA and SME Strategy Implementation”. The target groups of this training were university and school students. Trainer mostly covered the topics such as the general obligations for the SMEs for sending their product on export, the potential strategies which are success guarantors at the EU market, the investment opportunities as well as the ways how to find partners in EU Member states.